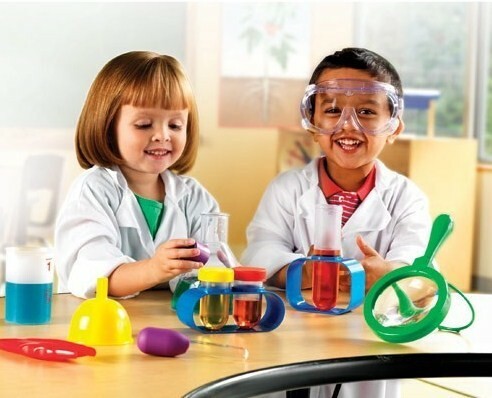 Real science tools perfectly sized for little hands in this Learning Resources Primary Science Set. 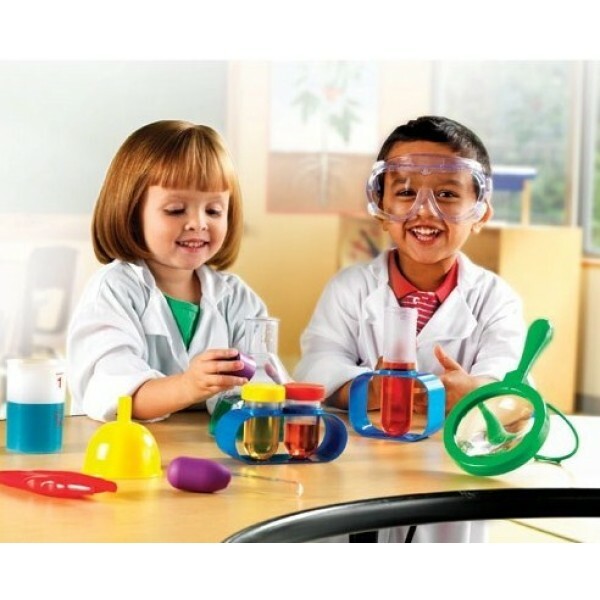 This set supports hands-on early science investigations. Colorful, durable set features measurement markings. Ten double-sided Activity Cards cover science process skills, living and nonliving things, physical science, senses and more. 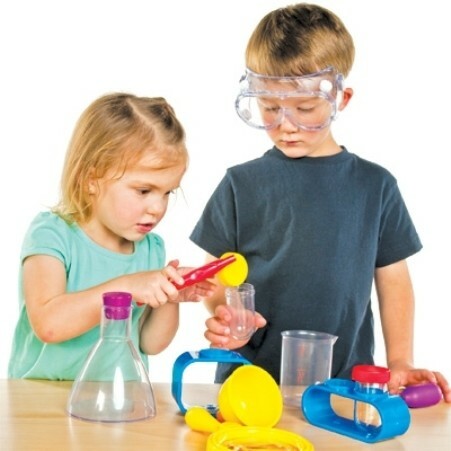 Includes beaker, magnifying glass, funnel, eyedropper, flask, tweezers, goggles, large 6” test tube and stand, 2 small test tubes and stand, plus Activity Guide. Set of 15. For more toys to spark your Mighty Girl's interest in science, visit our Science & Math Toys section.